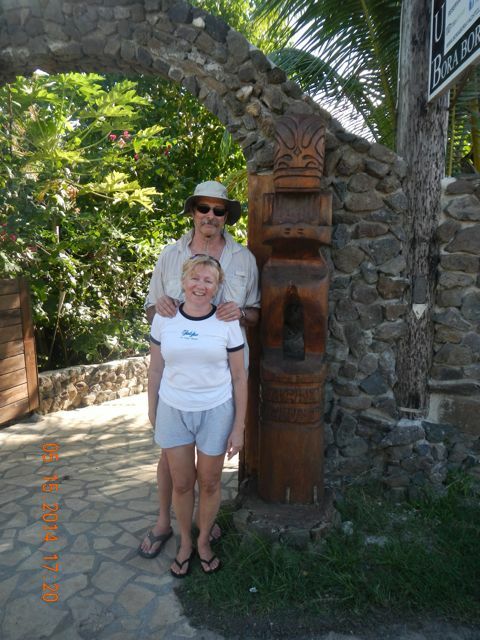 As usual on this trip, we had to spend a few hours fixing engine issues before we could leave Papeete and Marina Taina. Drat. 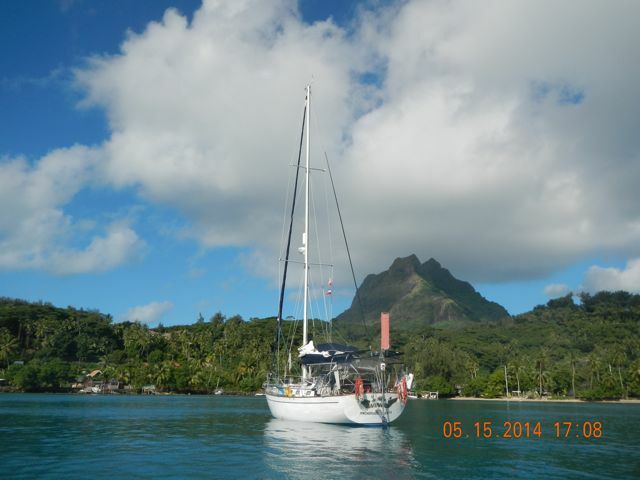 At last, though, we were fueled and had our crew together and off we went for our overnight sail to Bora Bora. 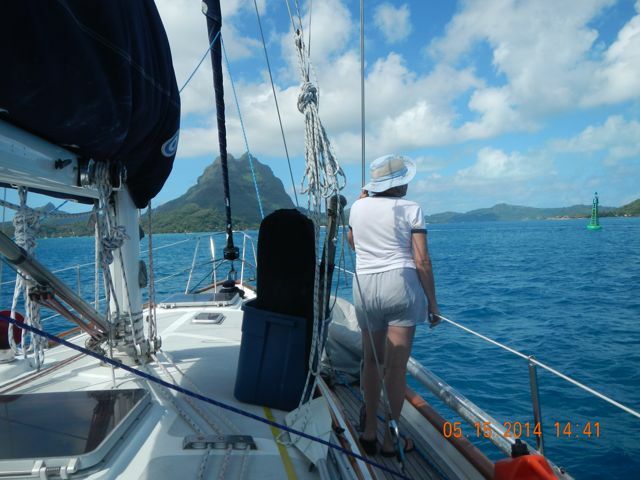 When we leave Bora Bora, we have a 5-day sail to the Cook Islands. 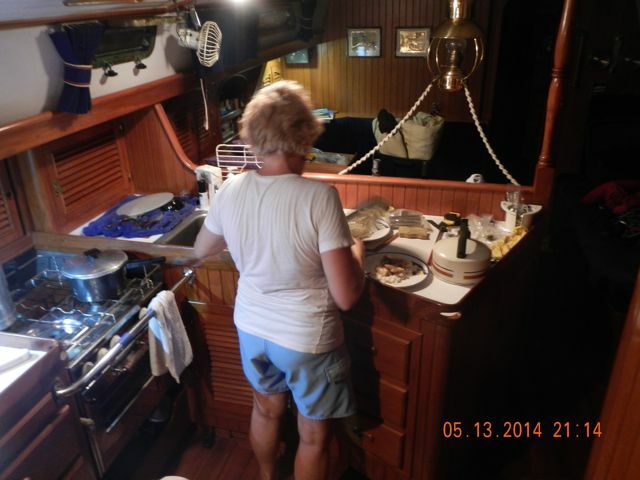 Lovely Conni prepares another one-pot extravaganza of a meal. 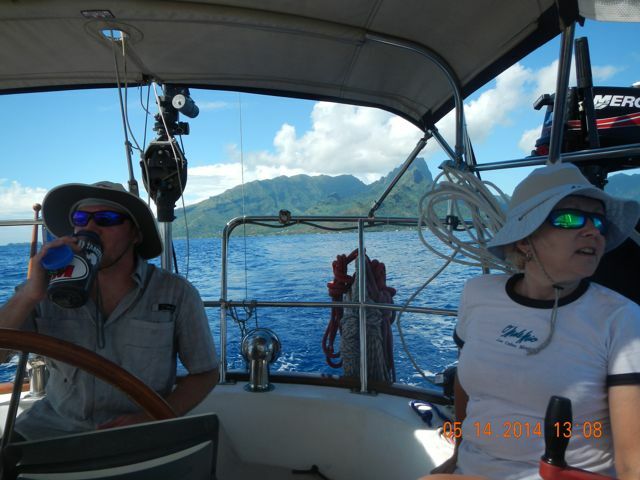 With Moorea in the background, we motor away toward Bora Bora. Nathan was at the helm and took us through the pass. Bora Bora! One of the most noticeable silhouettes in the world of islands, Bora Bora is considered one of the most beautiful islands in the world. Wings at rest in the lagoon at Bora Bora. Our own Capt. 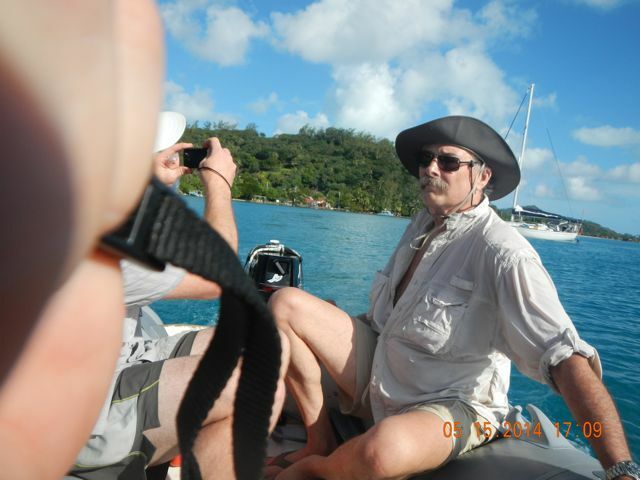 Ron at the controls of our new Mercury outboard sets course for showers and dinner at the Bora Bora Yacht Club. 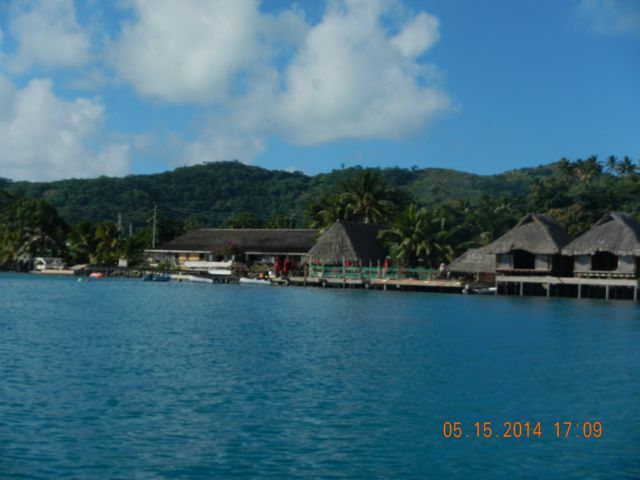 The aforementioned Bora Bora Yacht Club provides moorings, showers, Wifi, and fine meals. I had seared tuna in curry, while Nate and Conni had a tuna ceviche. Lovely Conni slums with a local derelict. Possible Christmas photo, perhaps. This is the entry of the yacht club. 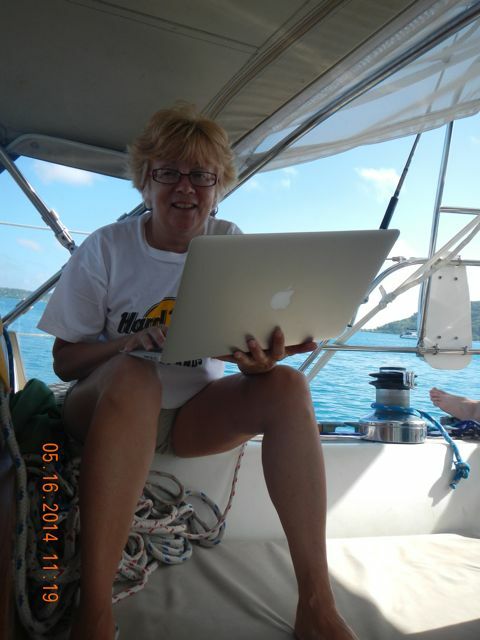 Conni and her MacBook Air use our scammed internet to cruise for marine weather. 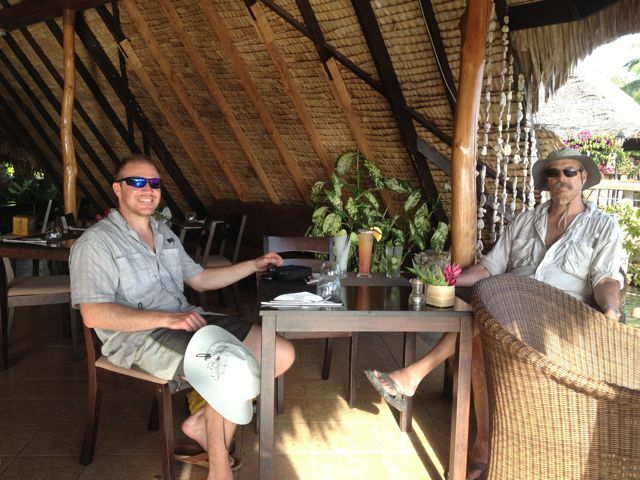 Nate and Bill enjoy a well-earned drink at the Bora Bora Yacht Club bar/restaurant.